Writting is the language of communication. It was mentioned in Quran. 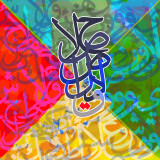 The Arabic character has went through several phases of development. It was first used in collecting Quran. Characters were first written without "DOTS" to distinguish them. The credit goes to the scholar "Abu Al-aswad Al-du'ally". For developing writting with dots. The muslim artist has excelled in using calography units as decorating units that has distinguished his art. Once again : this is a Marvellous collection. Very beautiful artwork in this gallery! Fabulous work done in this gallery. Congratulations. V.
wonderful gallery, lovely to see such beautiful style of writing. Yes, your writing is such a beautiful art. Thansk for introducing it to us. 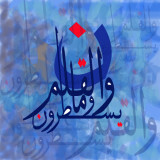 Ya Emad, Amazing gallery with beautiful calligraphy captures. A very nice gallery, Emad. ÍãíÏ ãØíÚ åÓÊã¡ íßí ÇÒ åãÔåÑíÇÊæä. æáí Çå ãí ÔÏ ÈÇåÇÊæä ÊãÇÓ ÏÇÔÊå ÈÇÔã¡ ããäæä ãí ÔÏã. Very nice gallery indeed, Emad! Did you see some caligraphy I included by a friend in Peshawar, Pak.http://www.pbase.com/noorkhan/image/78940252 I will add some more. Very nice gallery indeed, Emad! Did you see some caligraphy I included by a friend in Peshawar, Pak. I will add some more. Calligraphy is a beautiful art. thansk for sharing. 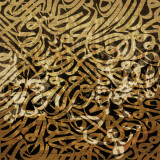 Something very special, the delicate art of Arabic calligraphy. You have a beautiful collection here. Although I can't read a word of it, I admire this fine art. Thanks for the inspiration. 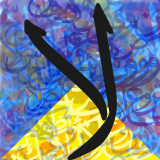 As soon as I visit a country in the Middle East (and that will be soon) I will catch all the calligraphy I can find. Is a wonderful gallery!! I love it!!! ¡V! great and esthetical gallery ! Very original subject, great photos. Great, very interesting and not usual collection. Voted. Such a wonderful gallery. Gorgeous. Emad, I like the concept. Calligraphy is an exquisite art form, and it's nice to see a compilation like this. Will be back to visit, am looking forward to seeing more photos on this gallery. it's nice, emad. i always find arabic calligrophy beautiful. thanks for showing us. a very fine art collection ! It's a fascinating visual experience for me, since I cannot read a world, but aesthetically I deeply appreciate the elegance of the signs. Mubarak Emad! This gallery is very beautiful... Its great that history can be translated thorough creativity and art.. Voted! Very beautiful photos and creative presentation. The calligraphy is gorgeous, too! This gallery is getting better and more intresting with every photo you add.. Arabic calligrophy is one of the most special arts to watch, excellent work ya Emad..